Keiser M3 Flywheel Crank Parts supplied by Krislynn Cycle and Fitness. Schwinn Triple Link Pedals can be used for all commercial and residential indoor cyling and also on virtually any exercise bikes. They will fit Livestrong LS9.9IC indoor cycling bikes, Matrix Fitness Bikes, Keiser Stationary Cycles, Lemond Indoor Cycling Bikes, Stages, Johnny G Spinng® bikes, Star Trac Spinning® bikes, Fitnex Indoor Cycling Exercise bikes and of course Schwinn Indoor Cycling bikes. These pedals can be used with toe clips, straps, lock, and SPD style shoes and cleats. These pedals are the highest quality and nicest indoor cycling pedals on the market. Lastly, they can even be converted to accept traditional athletic shoes becaseu they come with a snap in toe basket. 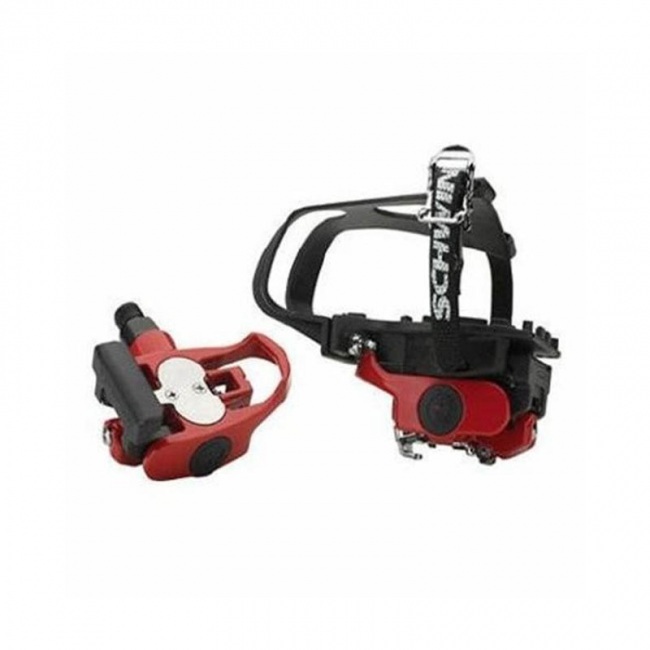 They feature a red alloy body with precision bearings. Snap-in, locking (eliminating accidental release) toe clip for use with any traditional athletic shoe. High performance ChroMo spindle & industrial grade bearings provide years of trouble-free use. Convenient 9/16 inch thread fits all Schwinn IC bikes, as well as other indoor cycling bikes from various manufacturers. Cost a lot less than other brands.